When you make a booking to stay, we need certain data from you. We also process data in other cases, such as information requests, the administration of competitions and when visiting our websites. In doing so we also use the services of third parties who receive specific personal data and process these on behalf of Le Vald’Arimont. This occurs, for instance, for the purpose of sending brochures and e-mailings or the processing of our guest surveys. When you make a booking, your data are obviously shared with the park where you will be staying. We would like to use your personal data to address you personally at the park and also in our further communication. These data are obviously also required to register your booking. The person who books accommodation at Le Val d’Arimont must be at least 18 years old. Inaddition, tourist tax may be based on the age of the persons staying in the accommodation. We therefore need your date of birth. Should you or someone in your travel party have a birthday during your stay, then we will try to help you celebrate and we may add something extra. You can call, e-mail and contact us via social media. We store your data to avoid you having to provide it again. We analyse all contact moments to make our service a little better every day. Your data will be forwarded to organisations that perform activities in connection with your booking. This also includes parties that are not part of the Le Val d’Arimont organisation. For example, the cleaningcompany or the insurance company if you have taken out travel or cancellation insurance. Your Le Val d’Arimont account can include your personal data. Name, postal and invoicing address, date of birth, telephone number and login details. This is convenient and means that you do not need to re- enter this data every time. We also keep information about your previous bookings. This allows us to help you faster and more accurately. You may receive newsletters and other offers from us. Their content is based on your interests and past bookings, and in some cases on information from other companies. If you prefer not to receive newsletters and offers, you can always unsubscribe via the link in the newsletter. You can also let us know bysending a note to: Le Val d’Arimont B.V., Chemin du Val 30, 4960 Malmedy BELGIUM or by sending an e-mail. You can help other guests with your review. Sharing experiences gives others abetter picture of Le Val d’Arimont. The responses you provide in our guest survey are reviewed by us to furtherimprove our services. In that context, we may also share your responses and data with our parks and partners, such as cleaning service providers. You may also be contacted based on a completed survey, for example, to ask additional questions or to thank you for your feedback. If you visit our website, like us on Facebook, make a booking with us or stay in our park, we will remember your preferences. We search for you and provide you with nice offers, for example by e-mail. We may also link your email address to your use of the website. 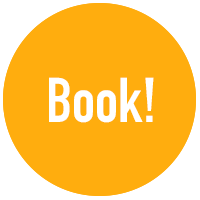 For instance, we may send you a reminder if you have not finished making your booking. We also use your information to improve our services and websites. Furthermore, we will use your data to show you useful advertisements such as on Facebook and Twitter and other online media platforms. Cookies play a role in this. We may have your data compared or combined with data known to other companies in order to match information and offers with your interests as much as possible. Insofar as we are required to do so by law, Le Val d’Arimont requests your consent before sendingyour data to third parties. Upon request, we will indicate whether we are processing your personal data. Additionally, you may request, correct, supplement, delete or block these data under certain circumstances, for example, if they are factually incorrect. This might result in you no longer being able to make use of (part of) our services. You can contact us if you have any questions. Based on legislation, we must indicate what legal bases are used to process your personal data. This particularly concerns data processing based on 1) an agreement, 2) in connection with a legitimateinterest of Le Val d’Arimont, 3) permission that has been given and 4) in connection with a statutory duty. We use your information mainly in connection with your booking and therefore based on an agreement with you. Your booking will be registered and we will do everything possible to make your stay as pleasant as possible. Additional contact moments, such as reviews, marketing activities, and the registration and analysisof your actions will take place in connection with a legitimate interest of Le Val d’Arimont. You can also signup for a newsletter. By doing so, you are giving us permission to use your data for this purpose. Additionally, we are legally required to include your data in the night registration. Functional cookies are used to improve functionality for your benefit, which means that you don’t have tokeep on making the same selection or login if you have already done so. Monitoring/Analytics cookies are placed particularly on behalf of other parties, such as Google Analytics andthe Visual Website Optimizer. These enable Le Val d’Arimont to monitor the search behaviour of visitors and toadjust its service provision to this behaviour so that we can be of even better service to you as a (potential) guest. Marketing or targeting cookies are placed to store your interests so that the Le Val d’Arimont website and other websites can provide you with offers that reflect your wishes/interests. Le Val d’Arimont can also automatically stop showing you offers when you have already made use of them or when you have already viewed them several times. Without these cookies, it is more likely that we will show you irrelevant advertisements. We would like to note that you can also get ads from Le Val d’Arimont without cookies. Which third parties place cookies via the Le Val d’Arimont website? Le Val d’Arimont aims to make your experience as pleasurable as possible. Both in our park and on our websites. Cookies help to achieve this experience on the website. Changes Le Val d’Arimont reserves the right to make changes to the privacy notice. We therefore recommendthat you check the privacy notice for an update on a regular basis.